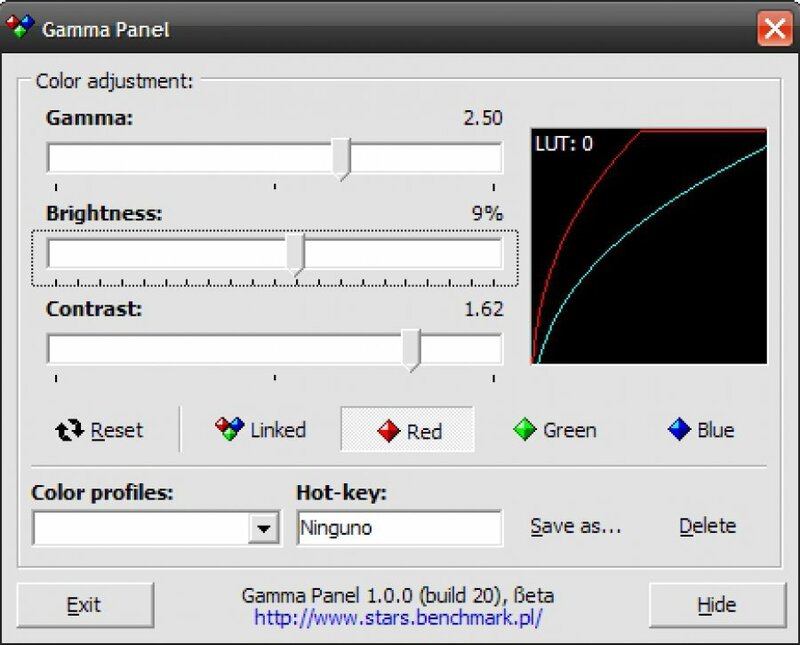 Gamma Panel is a tool that will allow you to adjust in real time the brightness, the contrast and the gamma of your computer´s screen. Thanks to its hot-key feature, you don’t even have to leave the game you’re playing! The program works pretty similar to Color profiles in PowerStrip but is completely free and much smaller in terms of system load and memory usage. Gamma Panel is very useful to modify the properties of your screen when an application is being run with the whole screen and we don´t want to interrupt the reproduction or game.